The opening round of the AFL London season saw two convincing wins for the North London Lions and Wandsworth Demons. Both clubs have got away to the ideal start, and in the process sounded a warning to all other teams. Only three points separated them in last year’s grand final, with the Demons prevailing, and evidence after the opening round is that they could once again be headed to the big match in 2018. 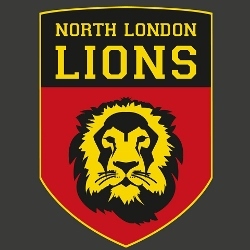 The North London Lions hammered the London Swans, brutally racing to a 133-point win. It sees the Lions on top of the ladder with a very handy percentage boost that may come in handy later in the season. The Swans will be disappointed and have to regroup quickly for their next match. The Wandsworth Demons set about defending their premiership title by downing the West London Wildcats by 58 points. It was a strong statement of intent from the Demons as they were too powerful for their traditional rivals. In the Women’s Premiership, the Demons were again too good, downing the Wildcats by 45 points whilst the Wimbledon Hawks defeated the South East London Giants by 9 points. Matches this weekend will see the big match between the Wandsworth Demons and the North London Lions in what shapes as a very early pointer to a possible grand final preview. The Wimbledon Hawks take the field after their round one bye to meet the West London Wildcats. The London Swans will have the bye this weekend and a chance to recalibrate.